Well built, well performing and AFFORDABLE. A robotic vacuum cleaner is a small yet powerful disk-shaped cleaner that runs automatically through sensors that detect dirt, dust, and debris. You can just program the robot to accomplish various tasks and leave them to do their job. The best part about these robots is that they never procrastinate! Though it comes with a few disadvantages, the robotic cleaner can be a lot of help so far. In this review we’re taking a closer look at the Anker RoboVac 10. 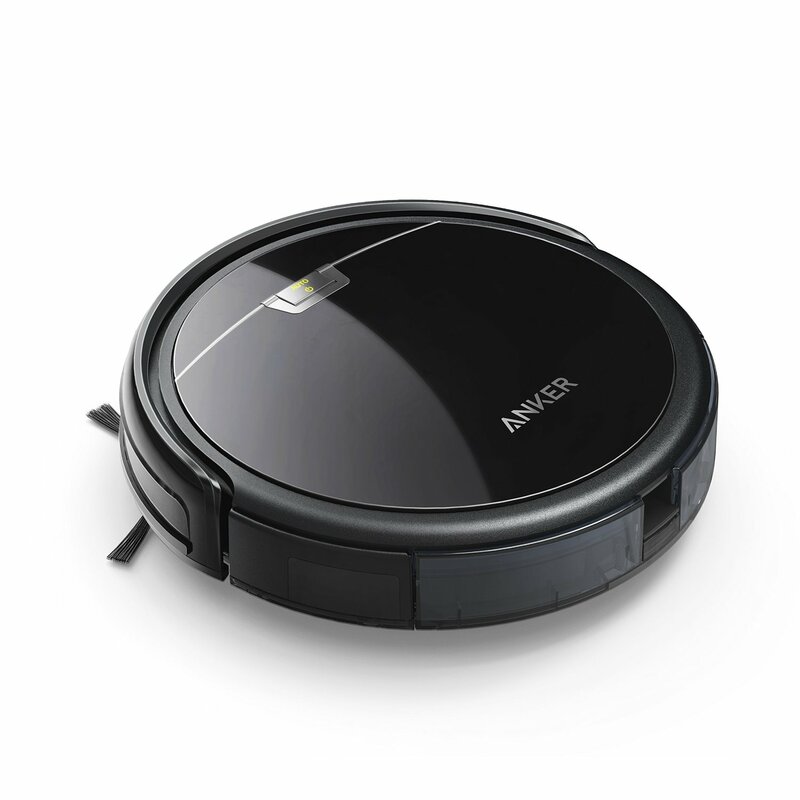 Anker RoboVac 10 Self-Docking Robotic Vacuum Cleaner is fabricated with unique smart features, making cleaning quick and flexible. It provides a thorough clean with its 3-point cleaning system comprising of a powerful suction, side brushes, and a rolling brush. Not only does it do the cleaning, the robot cleaner also purifies the living space when the Hepa-Filter traps microscopic allergens. The Anker RoboVac 10 functions in three modes – Edge, Auto and Spot modes. Edge mode is used when you wish to clean neglected areas such as wall corners. The Spot mode is best for when you require an extra clean touch. In this mode, the speed and power of the vacuum cleaner will automatically be increased. However, if you wish to operate manually, you can do so by simply pushing the manual’ button. Equipped with a long-lasting 2600mAh Li-ion battery, the robotic vacuum cleaner can also provide nearly 100 minutes of constant operation from a single charge with constant power and powerful suction cleaning operation. Does the Anker RoboVac 10 have any weak points? However, the Anker RoboVac 10 has two most significant disadvantages. First is that the robotic vacuum cleaner operates on IR sensors, a feature that may cause it to stick when it encounters obstacles such as curtains. But it is not really a problem because fortunately when the obstacles are removed, the robot will continue with the operation. Second is, RoboVac 10 does not have an indicator to show that the tank is full. Thus, you will be required to continually check the tank after each operation. It still is not really a hassle to keep the robot clean considering it has helped you keep your house clean without any effort whatsoever on your part. In addition, it would be great if a few more features can be added to this robotic vacuum. It can give a better cleaning experience if it can do multi-staging cleaning just like iRobot Roomba 650. Besides, the iRobot Roomba 650 works in all floors both upstairs and downstairs and the cleaning can also be scheduled. Despite these few limitations, buying the Anker RoboVac 10 Self-Docking Robotic Vacuum Cleaner will turn out to be a great decision, considering how quick, efficient and durable it is. Furthermore, it provides great flexibility in operation – it comes with cutting-edge technology. This product will definitely help you save time and money by reducing your workload and the attractive value for money ratio.